The late Brenda Connor-Bey, Greenburgh’s first poet laureate (2007-2010), created “Learning to See®” as a legacy of her tenure. Ten established poets/teachers from the community led the year-long odyssey based on the idea that there is a tie between visual art and poetry. In each of the 30 workshops, participants explored how painters, photographers, musicians, dancers and other creative types show us their worlds, and how writers can transform those visions into their own meaning. Each year, established and beginning poets join the workshops, and in small, intimate settings, produce poems that clamor to be heard by a wider audience. Thus began the tradition of an annual pot-luck supper and public presentation of new work. 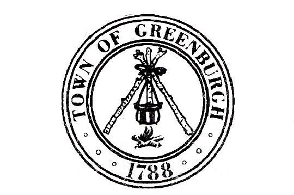 “Learning to See®” workshops are co-sponsored by Friends of the Greenburgh Library, and the Greenburgh Arts and Culture Committee. For dates, and descriptions of the various workshops and teachers, click on "Learning to See" workshops or call Sarah Bracey White at 914-682-1574. Some of the members of "The Poetry Caravan" and "Learning to See" participants who read their work at the 2019 Poetry and Pot Luck Party. 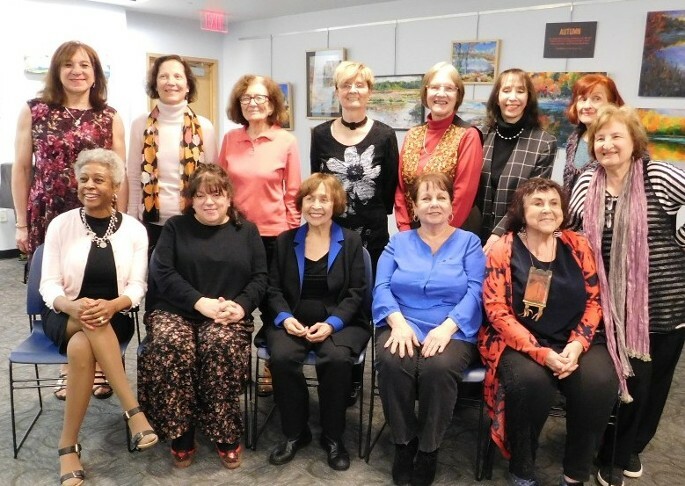 Seated, left to right: Sarah Bracey White, Susan Bouchard, Karen Erla, Sandy Hauss, & Golda Solomon Standing, left to right: Fran Cisco, Lisa Fleck, Ruth Handel, Mary Jane Motl, Joanne Auerbach, Linda Levitz, Deb Maier and Beth Fonfrias.